Date: Apr 9 2019, 6 p.m. - 7 p.m. 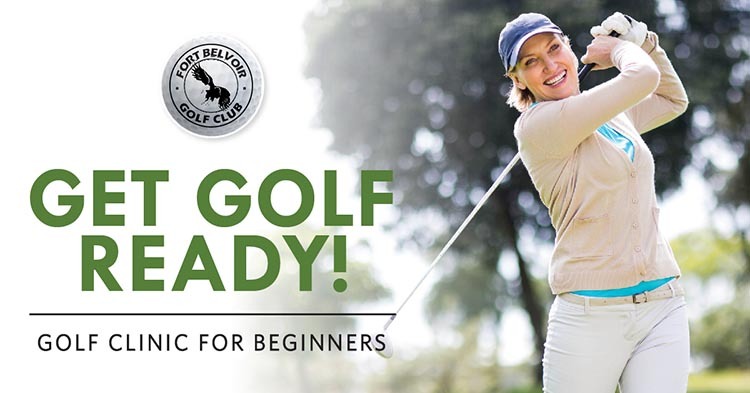 The Fort Belvoir Golf Club offers group golf clinics for beginners that will cover everything needed to get started. Learn to play golf in a fun, casual environment. The cost for the clinic is $100 for 5 sessions. Golf clubs, balls; and other equipment are included in the cost. Tuesday, 6 - 7 p.m. Wednesday, 5 - 6 p.m. Thursday, 6 - 7 p.m.
Each Tuesday and Thursday session is from 6 - 7 p.m.
Each Wednesday session is from 5 - 6 p.m. The cost for the clinic is $100 for 5 sessions. Golf clubs, balls, and other equipment are included in the cost. Call the Golf Shop at +1(703)806-5878 to schedule your lesson today!